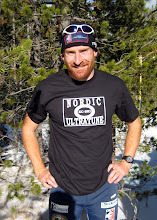 I met Jim through skiing as a junior on the Methow Valley Nordic Team. Jim's wit and humor make him instantly likeable and we became friends. In the Spring my favorite thing to do on the weekends was to go up on Washington Pass and ski with my Dad and Jim. We had a lot of fun adventures together. When I was 15 Jim gave me his old rock climbing rack which gave my brother and I a chance to explore the mountains further. While I was in highschool Jim and Jan moved over to the Valley full time and Jim took an opening as the high school Math teacher. I remember thinking that it was going to be strange to have my friend as my teacher. Jim has to be about 40 years older than me but I never really thought about that when we were out in the mountains. While in school, Jim was Mr. Erickson or Mr. E. We had suffered a few years of poor Math teachers at Liberty Bell High School and Jim really turned things around. He made Math fun and put 100% into it. He is the best Math teacher I imagine I will ever have. Everyday our homework, quiz's or tests from the day before were waiting for us on our desks as we came in to class, corrected and any errors were pointed out. In one year we pretty much covered Algebra, Trignometry, Geometry and started on Pre-calculus. I still can't believe the math that Jim could do in his head it made me break up my relationship with a calculator and really get my mind working. Jim has the ability to make anything fun and to relate most anything back to Math. Jim helped me write my first computer program to help me qualify for Junior Noationals. Back then the team was chosen based on percentage back from the top 3 in a JOQ. I still enjoy calculating the FIS and USSA points from ski races today. It is my goal that someday my work with ITA will have as profound long lasting affect on someone similar to what Jim's life has had on me. The race happened to be on the second day of hunting season and in addition to the runners about 20 horses all made the big climb. Thankfully they headed up a bit earlier than us because the trail really wasn't wide enough for easy passing. Mud and horses on a trail can be a damaging combination but there were times where it seemed like they had kicked perfect steps for us. My training this year has been quite different than in the past and I literally have been holed up in a small yurt training mostly by my self. We chose this race early in the year to use as a marker of my fitness and preparation for the season. My goal going in to the race was to go under 25 minutes based on times from felllow ITA athlete Torin Koos in 2010 and Erik Bjornsen, although Erik's times are from his high school days. The evening before the race Caitlin and I went for a recovery run and to preview the course. We also wanted to stash a bag of warm dry clothes at the top. After a month of bluebird skies the weather for the day of the race was foretasted to be pretty nasty. It can be challenging to judge time and distance on an all uphill course because a mile might take as long as 12 minutes. Running at a constant easy pace we took splits along the way so that we would know about how far we were from the finish at any given point during the race. It took 45 minutes to get to the top and so in honor of Jim we used math to determine the splits we would need to reach our goal times. Working with Scott this year has been fantastic and I look forward to racing on snow in a little over a month. Scott was pretty awesome on Sunday hiking about halfway up the muddy course to cheer and observe. He had to use crutches as he is recovering from knee surgery. For a small little race on the worst day of weather in 4 months we had a good showing.